Hey gang listen up. 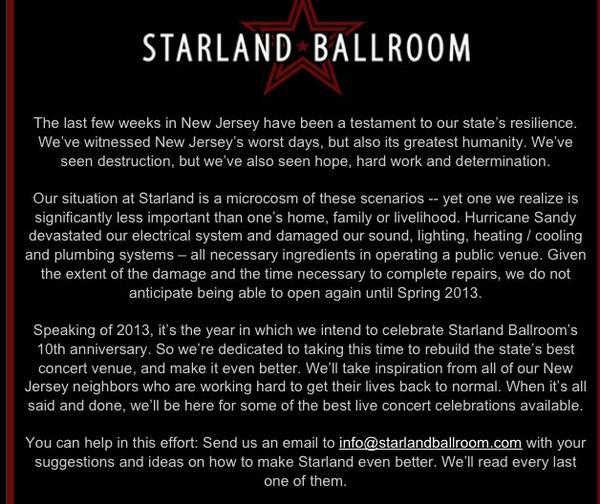 Our friends at the Starland Ballroom got hit hard with Sandy and as many of you know they are closed for a little while. If you can help out the people of the east coast- please do...this entire area is still impacted and can use your attention. PS- Starland when you re-open - we'd love to play your 10 year anniversary.